This dish takes Eggs Benedict to new heights with silky, smoked salmon and a creamy sauce laced with dill and capers. Full of decadent flavor and so much healthier than traditional Hollandaise, the sauce made with canola oil is a heavenly alternative. 1. In medium bowl, whisk yogurt and canola oil until blended. Whisk in lemon juice, then stir in chopped dill, capers and lemon zest. 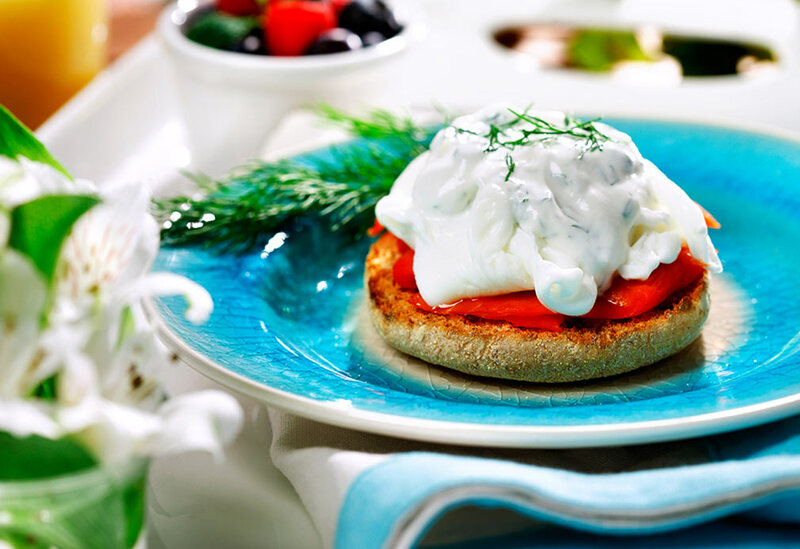 2.Toast English muffins. Place slice or two of salmon on top of each English muffin half. 4. Transfer each egg to salmon-topped English muffin half. Pour 2 Tbsp. (30 mL) of sauce on top of each muffin and garnish each with sprig of dill. 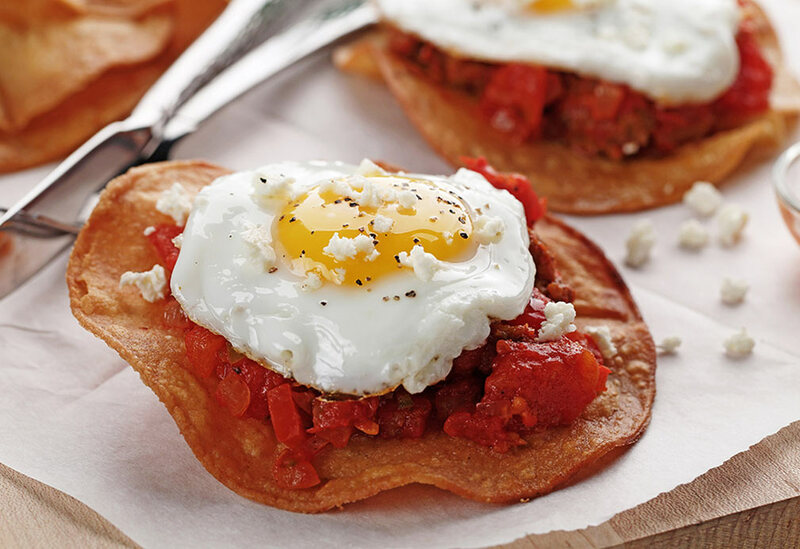 Eggs simmered in a robust tomato-chorizo sauce and served with a crispy tortilla – is there a better breakfast? (Or heck, lunch or dinner!) 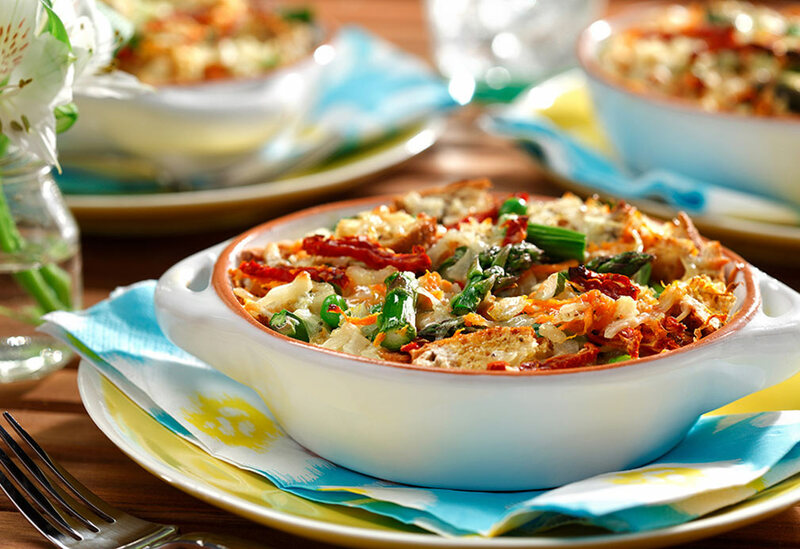 Canola oil’s neutral flavor lets the spices and other ingredients take center stage. 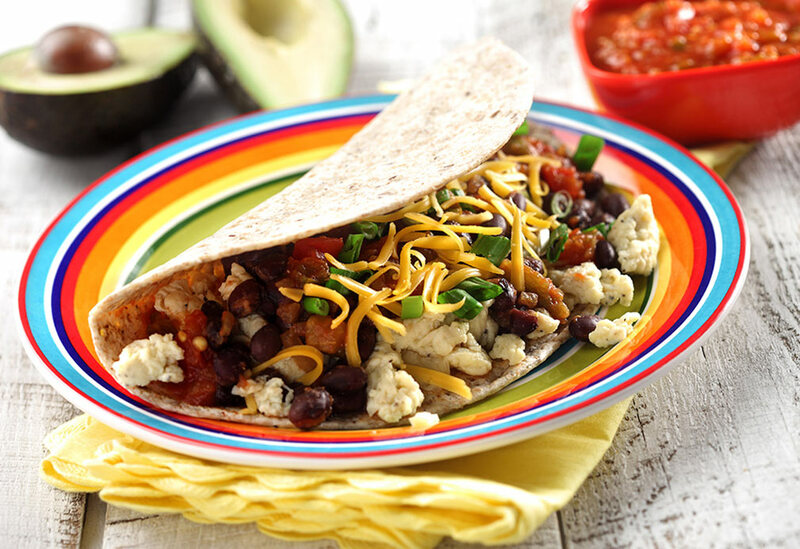 Plus its high heat tolerance is ideal for frying tortillas.